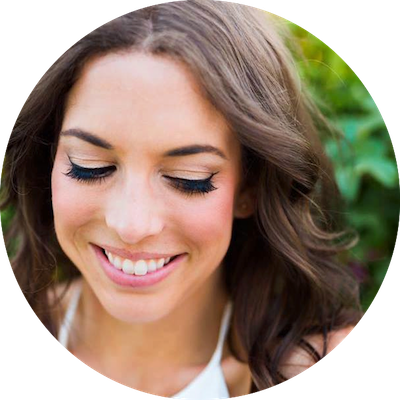 Your New Go-To (Easy!) 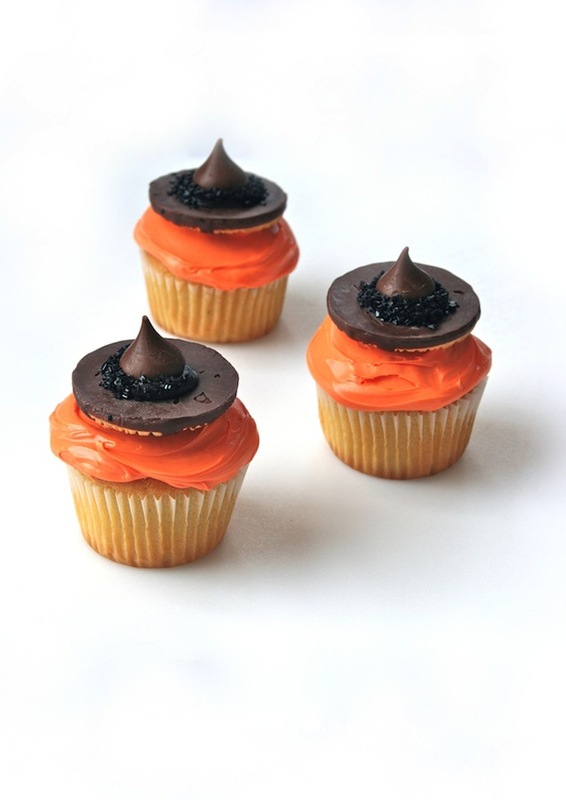 Halloween Cupcake Recipe This Year—Eeks! / Hey, EEP! Your New Go-To (Easy!) Halloween Cupcake Recipe This Year—Eeks! Good morning, lovely friends! I know—too soon, Erin—but hear me out. My plan was to share these easy Halloween cupcakes with you in October but Pinterest is already flooded with new fabulously spooky recipes and projects! Have you noticed? I just figured, what's the harm in showing 'em off a bit earlier? 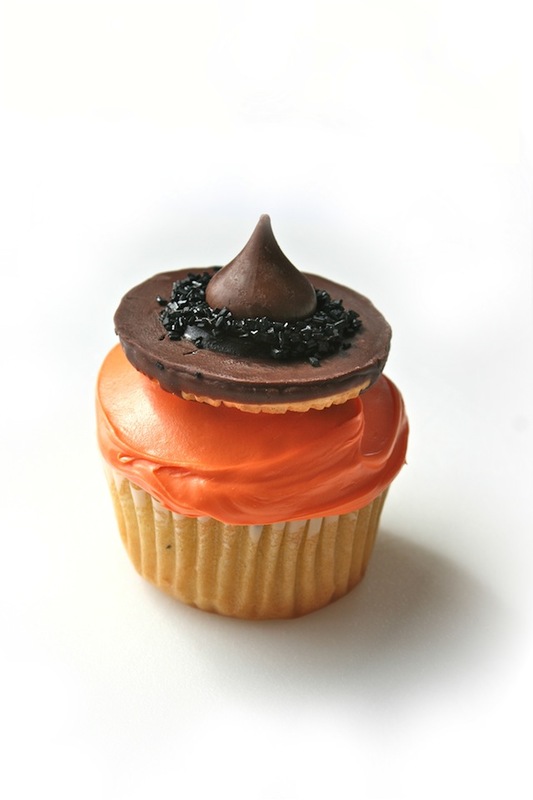 I've always loved the spooky-sweet idea of turning Keebler Fudge Stripe Cookies and Hershey's Kisses into witches hats! I'm not sure where the recipe originated but I first spotted them on Barbara Schram's blog, Explore. Dream. Discover. 1. Tint the vanilla frosting orange using orange gel or liquid food coloring. Divide frosting among plain cupcakes and smooth using an offset spatula. 2. Put the chocolate frosting in a small resealable plastic bag. Snip the corner and pipe a generous dot chocolate frosting on the center of each Keebler Fudge Stripe cookie, chocolate-side up (this is your glue). 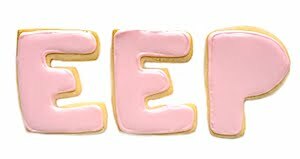 Add a Hershey Kiss to each cookie, pressing into the frosting so it puffs up around the Hershey Kiss a bit. 3. Put the black decorating sugar in a small bowl. One at a time, hold a hat over the bowl and spoon the sugar over the chocolate frosting to coat and letting the excess fall back into the bowl. Arrange the hats on top of the frosted cupcakes. Store in an airtight container for up to 1 day, if desired.